In my last article I showed you the three reasons employed physicians quit their jobs - the last straws if you will. 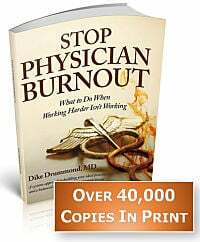 In this article let me show you the #1 Mistake the vast majority of physicians make when looking for a position. When you avoid this mistake, you stand a much better chance of landing your ideal job. If you do, your success in this employed position will rely purely on luck. Here is what I mean. For most of us, the last experience we had of interviewing for a position was our application to Medical School and/or Residency. In this situation we were basically doing anything we could to be accepted. We were saying, "Pick me, Pick me" and doing whatever it took to make it into the ranks of the chosen. That is NOT what a job search is about. In fact, a healthy job search turns the tables 180 degrees - it is another Mind Flip. In your search for a permanent position, you want to make sure this is a place you will fit in - Long Term. In order to do that well you must have an Ideal Job Description and be screening job opportunities to see if they fit your Ideal Job. 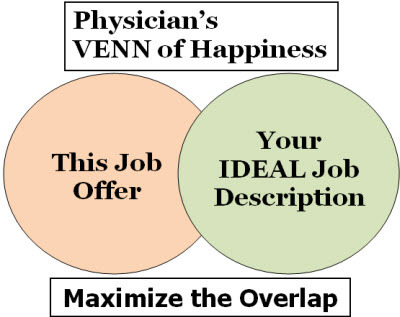 The Ideal Physician Job Search Formula. Learn more and enroll today via This Link. I have to repeat this because it is so important. YOU are in charge now if you follow the steps below! Once you are able to make this comparison, you only have one decision to make. How much overlap is enough to say "YES" to this offer? 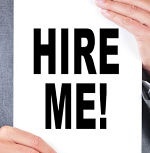 When you approach your physician job search in this fashion you are focused on what you want - Your Ideal Job - rather than taking any opportunity where you will be accepted. 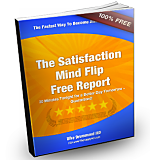 You will be literally guaranteed to find a better position, the first time around. This is just one of the 7 tools in our online training the Ideal Physician Job Search Formula. Learn more and enroll today via This Link. Most doctors have never created a description of their Ideal Job. We spend our time coping with the areas in our current position that are painful and anything other than "ideal". 3) Write down all the characteristics of your Ideal Job in as much detail as possible. 4) Keep it in a folder labeled "My Ideal Job Description. - What do you want to be doing - what kinds of patients and cases ? - In what setting ? - For how many hours a week ? - For what pay and benefits ? - In how big of a group ? - Where - in what area of what country ? - With what group culture and work environment ? - What are the characteristics you want in your boss ? - List all the pertinent positives and negative ? Know that this is a living document. You will add to it and subtract from it over time as you get more and more clear. It often takes a while for these dreams of your Ideal Practice to awaken from their slumber. Some of the items on these list will be things you have all but given up on in your current position. Put them all on the list now. Your next job can be a much better place, but only if you put your true desires in your Ideal Job Description now. Write it down in ink on paper. Keep your Ideal Job Description in a folder with a nice label in a place you will see it weekly. You will use this description in both your job search and in continuously improving any position you ultimately take. You are taking something that exists only in your imagination and beginning the process of turning it into reality. The move from thought to physical pen strokes on physical paper is step #1. And I know this is "old school". Try it for yourself. Write it down even if you feel it is something that is "impossible". Write it down anyway. It is a goal to shoot for that will shape your decision in a healthy way. There is no job that is a 100% overlap with your ideal. This does NOT mean you can't aim in that direction. There are some specialties where the job market is so tight that you must still work hard to get accepted - radiology comes immediately to mind. This process works best in specialties that are in high demand at this time - especially Family Practice and all other forms of primary care. Creating your Ideal Job Description and using it to drive your job search is Step #1 in getting the position you Really Want. In the next post in this short job search series, I will give you a set of questions you can ask in your job interview that will give you a clear read on the group's culture, decision making style and the quality of your immediate supervisor. 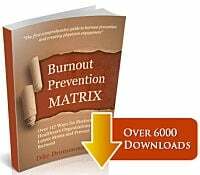 With this information in hand, you will dramatically improve the odds that your next job is a permanent happy home for your practice. What tools, questions, mindsets have you found most useful in your own job search(es)? What mistakes have you learned the hard way in your physician job search efforts?